Our MOOC “Introduction to Satellite Communications” that is jointly set up with colleagues from ENSEEIHT and Télécom ParisTech is doing well. So far we have 3700 subscriptions (and growing). Do not hesitate to register: it is free and sessions are organised frequently. Students are out for internship and we spent part of our time porting our “Introduction to satellite communications” MOOC to Coursera – In English ! Since June 6, it is now live and registration is open until June 13 (there will be another session open in August). Did I mention that it is free ? Of course it is. The date for the opening of the MOOC “Introduction aux communications par satellites” is nearing (1st of June). Meanwhile, we’ve posted a new teaser … The key question is : “Satellite communications, a difficult matter … or not ?”. I already mentioned it several times : we’re involved in the preparation of a MOOC (Massive Online Open Course) on satellite communications. We’ll it is getting more and more real. We are happy to announce that Télécom Bretagne, Télécom ParisTech and INPT ENSEEIHT have partnered under the auspices of Institut Mines Télécom in order to produce a MOOC on satellite communications. This is made possible thanks to the support of Patrick Drahi. 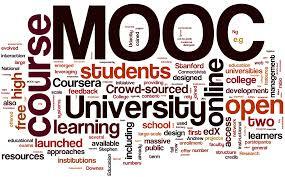 MOOC stands for Massive Open Online Course. Yes, a free online course covering all aspects of satellite communications from signal processing to the complete system. The course is due to open in Q3 2015 in French, Arabic and English are also scheduled. We’ll extensively rely on demonstrations using actual equipment to support the lectures. We’ll keep you posted with information during the next weeks and months.